For a variety of reasons, loneliness is getting a lot of attention in recent times – new research by the ONS into levels of loneliness among the general population, the appointment of a Minister for Loneliness and the announcement of a forthcoming loneliness strategy. The Jo Cox Commission has played a part in this, so too has the Campaign to End Loneliness. This week I attended an event on tackling loneliness, at the Greater London Assembly, and heard David Robinson (Co-chair, Shift and Co-founder, Community Links) talk compellingly about how we need to “make relationships our central operating principle”. (More of David here). Of course, loneliness isn’t new, and neither are the kinds of activities and organisations that help to tackle it. Community businesses will recognise themselves here. The ONS reported that ‘people who feel that they belong less strongly to their neighbourhood’ and ‘people who have little trust of others in their local area’ reported feeling lonely more often. Other important – and often related – factors include poor health or life-limiting conditions, being single or widowed, or being younger. The causes of loneliness, therefore, can be tackled by bringing people together – not virtually, but in the area where they live, to mix socially and to feel a connection with their community and place. Today, we responded to the Government’s call for evidence on the loneliness strategy, pointing out how community businesses give local people a space to come together, and actively bring them in to be involved as providers and users of a variety of services. We argued that community business is unique, because of its connection to a place and because it’s led by the local community. We also said that we believe ‘projects and initiatives’ (what the call for evidence focused on) are less effective in tackling loneliness than sustainable organisations that can make a difference over the longer term. We believe policy that supports the establishment and growth of sustainable community spaces and businesses would provide a durable safety net – and enable communities to grow and develop their own responses to loneliness, and their own social capital and connectedness. 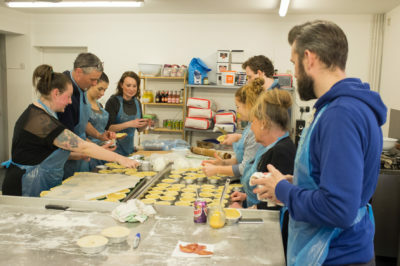 There’s an opportunity here for community business to highlight what it does well, in connecting people and building trust in local areas. And there is new funding available for organisations that are tackling loneliness through their work. The funding is being offered by Big Lottery Fund – but the application window is tight! The fund opened on 16th July and will close on 24th August.